Admit it – you’ve always wanted a glittering and glamorous kitchen to impress all your friends. With these glass backsplash ideas, you’re one step closer to making that dream a reality. No kitchen remodel could be complete without one of the attractive additions. 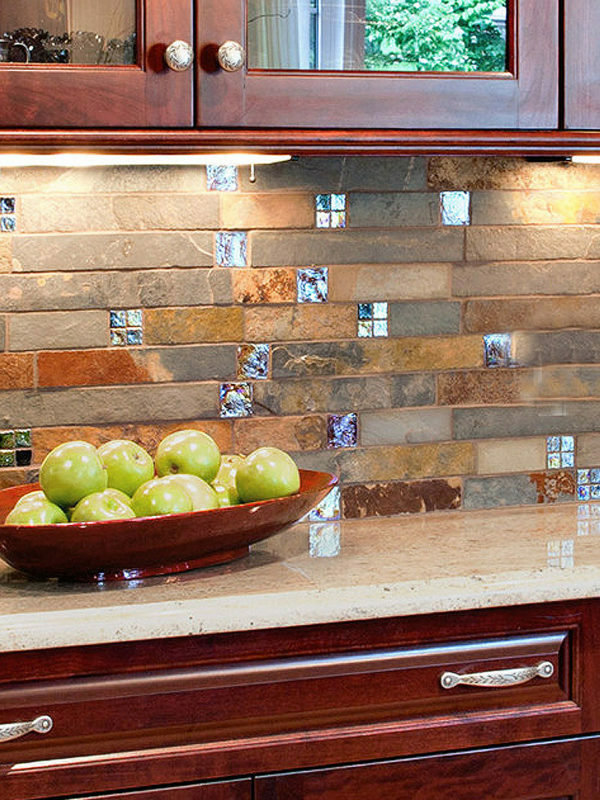 Check our glass backsplash tile options. You’ll find infinite glass backsplash ideas in our catalog of resources and completed kitchens. Glass can be crafted into any shade and color imaginable. Creativity is paramount when it comes to glass backsplash ideas because of the endless options available. Whether you’re going for an electric blue or soothing white, glass can bring an element of chic or vintage vibes to your space. Find the perfect pattern for a beachside cottage or a modern loft. The choice is yours. You’ll find everything you ever dreamed of in this gallery of glass backsplash ideas. These features continue to draw in homeowners, making them a popular choice through the ages. There’re a reason glass backsplash ideas have been prevalent for so long. Glass backsplash ideas can present themselves in any number of gorgeous ways. From modern spaces to contemporary charm, you’ll fall in love with the easy elegance of these glass backsplash tiles. You’re certain to find a pattern that matches up with your home and design in our gallery. White glass & marble mosaic backsplash tile for contemporary kitchens.